Day 2: Transportation to Rocky Mountaineer Rail Station. ALL ABOARD!!! 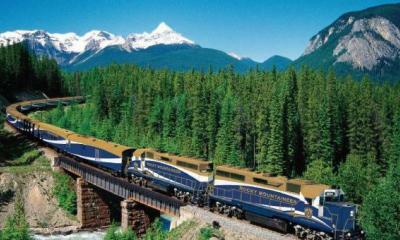 - Includes Gold Leaf Rail Tour from Vancouver to Jasper with overnight accommodations in Kamloops. 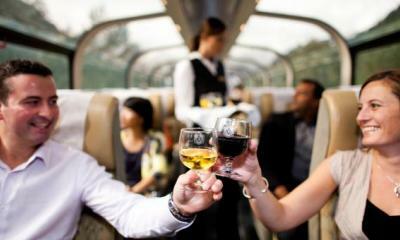 Includes beautiful viewing from the bi-level glass domed coach. Inclusive of hot gourment meals and snacks. Day 3: Finish Rail Tour - Arrive in Jasper - Check into Fairmont Jasper Park Lodge Resort for 2 nights of true luxury in spectacular mountain setting. Day 4: Play Jasper Park Lodge Golf Club. Afternoon/Evenning at leisure. 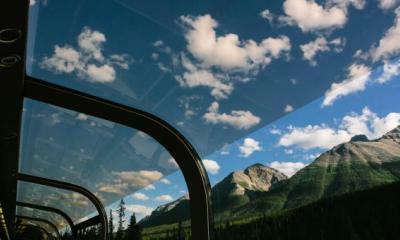 Day 5: Private coach transportation from Jasper to Banff stopping at the famous Columbia Icefields along the way. See one of Canada's largest glacial icefields before arriving in beautiful Banff, Alberta. Check in the iconic Fairmont Banff Springs Hotel. Stay 4 nights. Day 6: Play Banff Springs Golf Club. One of Canada's top ranked golf courses. Afternoon/Evening at leisure to stroll around Banff visiting the shops or just taking in the amazing surrounds. Day 7: Play Stewart Creek Golf Club. 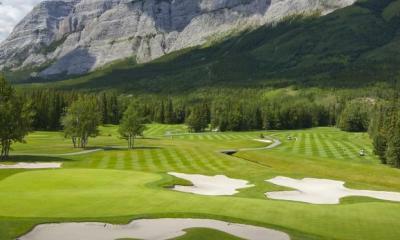 Private transfers to Canmore to play one of the Rockies best courses. Afternoon private coach sightseeing. Visit Lake Louise, Lake Minnewaka and other great sights in this area. 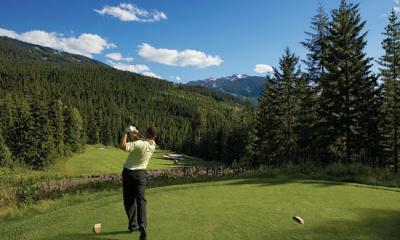 Day 8: Play Silvertip Golf Club. Private transfer to Canmore to play another top mountain course in Canada. Afternoon coach and driver. Flexibility to sightsee at your leisure. Day 9: Transfer to Calgary - for return flight home!